In my misspent youth I enjoyed video games. My friend, Peter Fox, got me started back in our 20s but these days I don’t get the chance for a good game. But every now I’ll fire up the Playstation and enter another world for a while. I particularly liked ones where my character would level up as I gained experience. 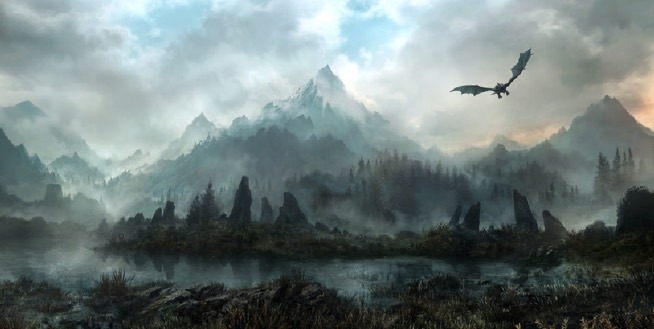 Skyrim was a favourite for quite some time. You would start at level 1 with very few skills and with experience but with time and practice you’d level up and be able to achieve all sorts of amazing feats. Getting started in business storytelling is somewhat similar because storytelling is a practice. You can’t just get good at it by talking about storytelling; you have to tell stories. At the same time you can’t be expected to deliver a story-filled presentation to a thousand people on your first day learning about business storytelling. You work up to it. So here’s a suggested development plan to achieve business storytelling mastery. Of course you don’t have to follow it to the letter so feel free to try things out from other levels. That said, you tend to need to get proficient in the lower levels before you can try the latter ones. It all depends on how willing you are to trip and fall and get back up again. There’s no need to rush through the levels either. If you are starting from scratch I think it should take you about 18 months to get to level 7 and to be totally confident in your story skills. Start with building your ability to spot stories using the spotting stories framework. Notice where stories are told in your organisation. Who are the storytellers? How do they do it? When do they share stories? When don’t they tell a story? Grab a notebook and record your observations. This is an exercise in corporate anthropology. This notebook will become your best storytelling resource. Now get out in the field. Where are the most important stories told? In the sales call? At client meetings? In the manufacturing plant? In R&D? Wander around and listen out for stories. Jot down the ones that grab you, the ones you think you could retell. Set aside part of your notebook to jot down stories you find. This is your first story bank. Share one of the stories (no notes) you discovered at a meeting. Don’t make a big thing about it. In fact, don’t even let on you’re sharing a story. Don’t use the s-word. Just tell it and see what happens. What was the reaction? Was it easy enough to share? Make sure you have a point when you share a story and start with a relevance statement that quickly explains why you are sharing this example. Find yourself a story buddy, someone who you can share a story you are thinking of using and then getting their view of how well it will work. Most importantly ask them what the story says about you and what they think is the point of the story. Practice segueing into your story with a good relevance statement. After a while this will become second nature. And of course avoid the s-word. It’s a rule worth repeating. Start keeping a story discovery journal to help you find and remember good stories to tell. Time to find some connection stories and try them out. Plan to use one in your next presentation. Select a small, low-risk talk and when you share the connection story keep it short (1-3 minutes). Ensure it has a business point. How was that? Now do it again with a different connection story. Eventually your story bank will contain 20+ connection stories you could tell to different audiences that work with different topics. So far you have been finding stories by hearing them. Now I want you to find a written story in a business book or the newspaper for example, and learn and tell it as an oral story. Once you have it in your head share the story at a meeting, no notes. You should be getting pretty comfortable telling stories by now so it’s time to see how you can make them even better. Take a story you have told a few times and see if you can make it more visual. If you say you met your boss in his office, what did the office look like, when Mary walked in, what was she wearing, when your boss blew his lid what did he do? Of course you don’t want to go overboard, so after practising with the extra details, dial it back a couple of notches and try it out. Level 3 is the time to experiment with parables and fables. Search the web for a fable or parable that catches your eye that could help you make a solid business point. Share it in a meeting and see what happens. Keep a straight face when you tell it. So far your skill has been focused on set pieces such as presentations and meetings. Now we want to enhance your ability to share a story off the cuff in an informal business conversation. Of course this is what we do naturally with our friends so we are part way there. This is where you will start to build the habit of storytelling. Starting by catching yourself making a point or giving your opinion on something at work. You can catch yourself when you feel you are working hard to convince someone of something. When you hear yourself do that try and tell a story to illustrate what you mean. Initially, there is a good chance nothing will come. If this happens actively seek out the story you should have told and remember it. Next time you are making that point, tell your new story. When you’ve told your story enjoy the reaction you get. This is your reward. Habits develop when there is a trigger (catching yourself sharing an opinion), and action (telling the story) and a reward (the reaction of the audience). Good business storytelling should be a habit. It’s now time to practice your story-listening skills. When you next attend a meeting or function rather than tell a story, spend the whole time trying to elicit stories from the people you’re with. When you hear a half told story see if you can dig in and find the details. Be curious and show interest. If you find yourself in a meeting where emotions are running high, there’s a good chance people are trading opinions. Look for an opportunity to ask for an example and notice the mood change as a story is told. You will soon discover your ability to find stories is as important as your skill to tell them. Level 4 is a good time to practice countering anti-stories. Keep an ear out for an anti-story being told by your colleagues or customers and instead of arguing, share your better story to show them there is another way to think about things. And if you can’t think of a story to share, go find one. Now is the time to teach someone else to become a better storyteller. Mentor them through these levels and help them become better communicators. You really need to understand something to teach it. Inserting stories into presentations should be second nature for you now. In your next big presentation let’s add multiple stories including a connection story, a clarity story, influence story and success story. Make this a high stakes presentation. You have seen how stories make a difference so now is the time to really stretch your skills. At the other end of the spectrum is using stories to give one-on-one feedback. Next time you are coaching one of your people come to the session with specific stories of what they have done and what others have done that they could emulate. Sometimes a story told as an analogy can be a great way for people to really understand what’s happening in the business. Find a story which would be a great analogy and share it at a team meeting. There is a risk in your development that you will fall in love with storytelling and start telling them everywhere. So to counter this take stock of where you wouldn’t tell stories. Of course developing the skill of storytelling is never ending. You will always be learning more, especially if you have the opportunity to talk about your storytelling to someone who is equally as skilled and interested as you are. As a leader there is one more story skill to master and that is how to trigger new stories. Identify an idea or attitude that is lacking in your team and then do something remarkable to highlight how important that thing is. This could be as simple as stating that everyone needs to understand all parts of the business and then put yourself on the front line for a week at the same time as introducing a job rotation initiative. For a story to be told your actions need to be remarkable, that is, people remark on them. Do something out of the ordinary. At level 7 you should be so comfortable with stories in a business setting that at your next presentation you will be able to tackle the challenge of giving the whole presentation as one big story with smaller stories packed inside. Once you’ve reached level 7 you will have the ability to use story techniques in just about any business setting that can be thrown at you. But that’s not to say there are not more levels. You’ll encounter so many new ways to use stories now that the next 7 levels will just come naturally. Congratulations on being persistent and consistent in building your story skills. As you discovered, it comes with deliberate practice. This is such an intriguing post. Thank you Shawn!